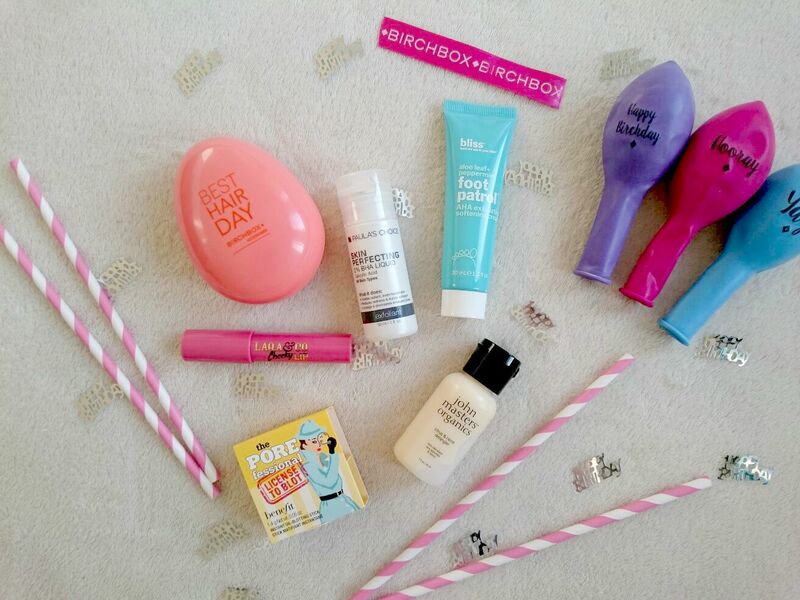 Birchbox are celebrating their 5th birthday this September with this month's Birchday box. I still see monthly subscription boxes as a pretty new thing with new releases coming out all the time but you have to hand it to the originals, Birchbox, for always being one step ahead of the game. This month's box is full of treats and one lucky winner will also win a three month subscription if you head over to my Twitter page, @alicespake. First up is Bliss Foot Patrol hailing from New York City. An exfoliating and softening foot cream which smells delicious. I for one always forget about the limb that takes me everywhere so I'm going to be paying them back with this. Laqa & Co Cheeky Lip Pencil comes from the streets of Brooklyn. Humble Brag is a striking pink shade suited to most skin tones and better yet it's multi purpose so you can use this chunky pencil on your lips and cheeks. Paula's Choice Skin Perfecting 2% BHA Liquid is a brand I've never tried because I didn't know where to get it from so finding this in the box put a smile on my face. Hailing from Seattle, this liquid exfoliator creates radiant, even-toned skin. I've only used this for a few days so can't comment on results but if it is as great as the reviews it may become my new beauty staple. San Francisco's Benefit The Porefessional License to Blot is a beauty item I've been using a lot recently across my t-zone in the afternoons, I don't find it works as great as claimed so far but it does help in smaller areas of oil and I'm determined to make it work for me. The last two items are a match made in heaven, The Birchbrush and John Masters Organics Detangler from NYC work perfectly together easing out tangles and leaving hair smooth and manageable. With Citrus and Neroli, it smells incredible and it really does do the trick. I need the full size immediately. 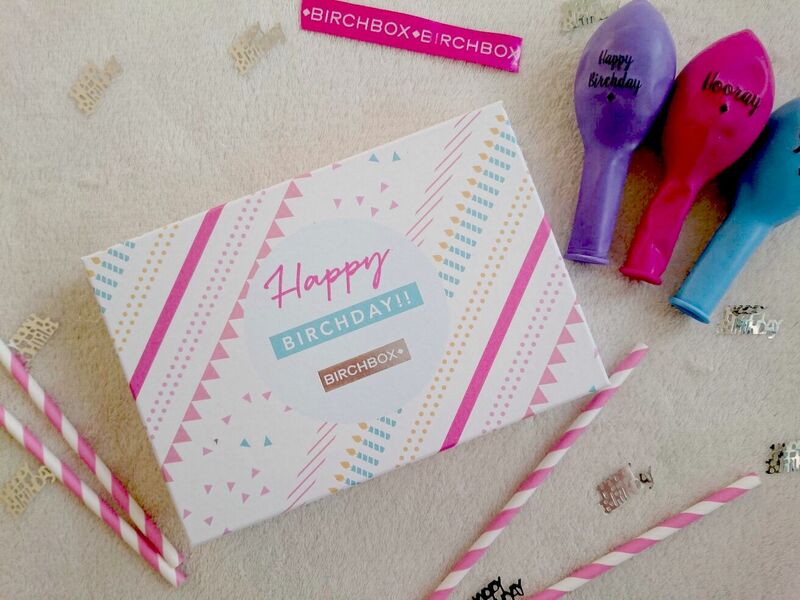 What do you think of the Birthday Birchbox? Fancy winning a three month subscription? 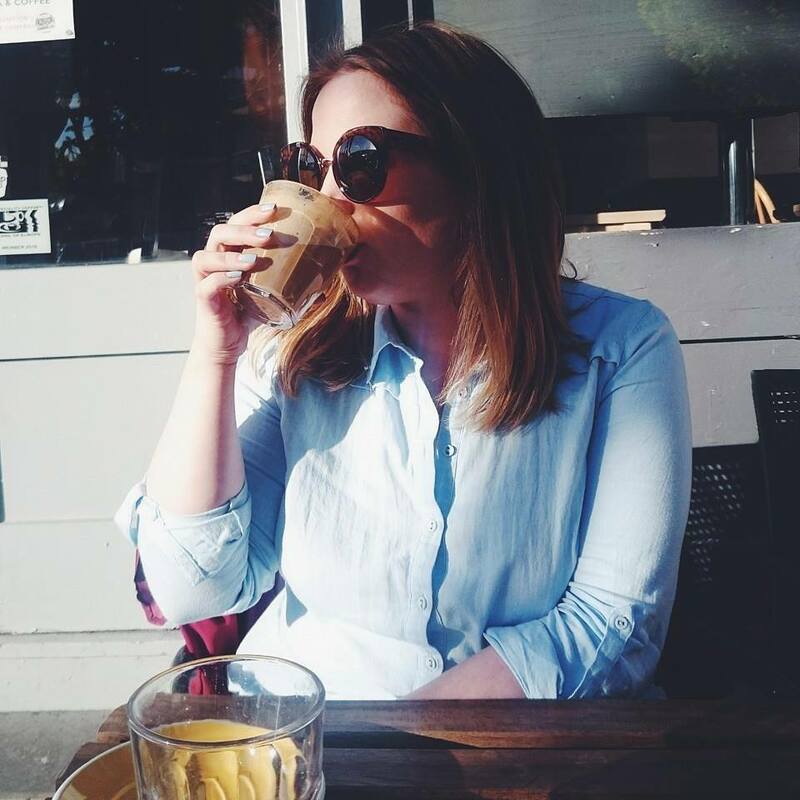 Head over to my Twitter page now!